This malbec we had over the course of two nights. We opened this originally to enjoy with a pork loin–really perfectly cooked–and a fresh salad of mixed greens, sliced apples, and crumbled blue cheese. The food was great but the wine needed more time to breathe. Thus, we pulled it again a night later, after working through appetizers and a bottle of Mark West pinot noir, and finished the malbec with ravioli. 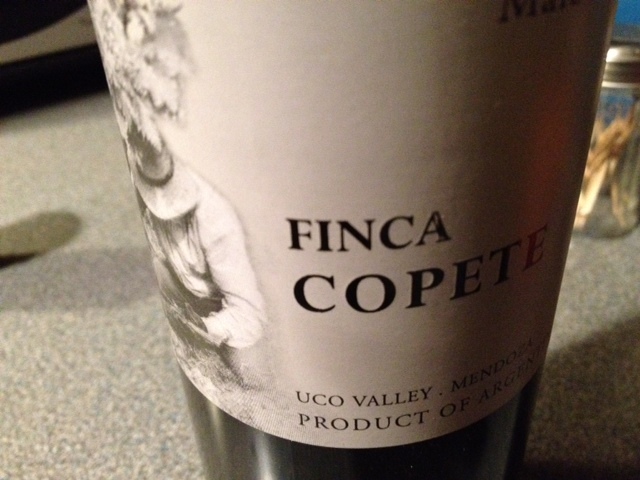 We like a malbec and thus had to give it a try but probably would put others on the list ahead of this one.